The Mettawee River Theater Company brings their unique blend of Music, Masks, Puppetry and Performance to the Community Park. Family Friendly. Free and open to the public. Donations welcomed and appreciated. 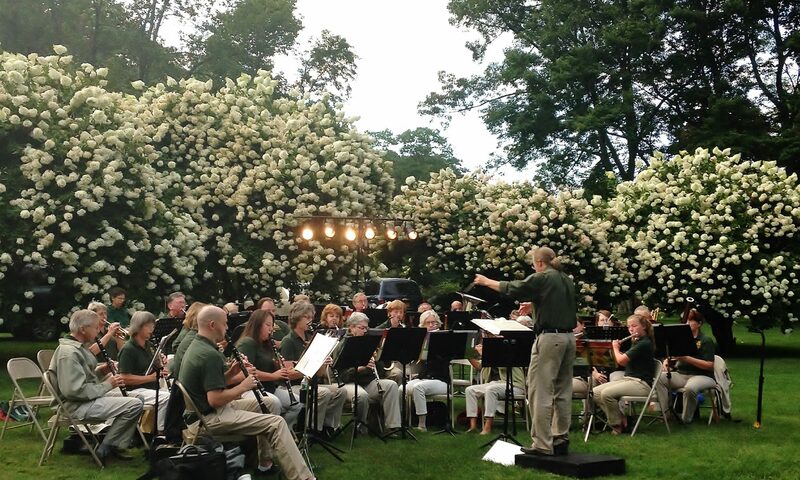 The Washington County Band and Salem Rotary Ice Cream Social is an annual favorite at the Georgi. The Washington County Band will play a mix of show tunes, and performance band classics in the Community Park. The Salem Rotary Club will be serving up Stewarts Ice Cream. Be sure to bring a chair, the kids, and the bug spray! Family Friendly. Free! Open to the Public! Donations welcomed and appreciated. Did you know that the Georgi is owned and operated by the Town of Salem, NY, yet does NOT use any tax payer dollars? The Georgi, 21 Adams Lane, Shushan, NY 12873.